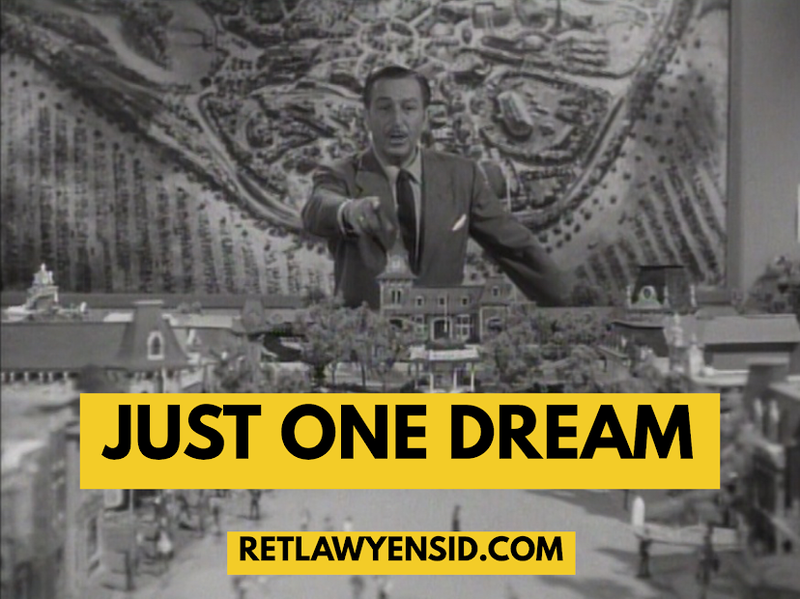 Just One Dream: RetlawYensid.Com: Theme Park Thursdays: Happy Anniversary to the 999 Happy Haunts! Theme Park Thursdays: Happy Anniversary to the 999 Happy Haunts! On August 9, 1969, DISNEYLAND History was made as Walt Disney’s Haunted Mansion opened its doors to the world. Not only would regular guests experience the attraction for the first time, another first happened that day- for the first time since opening day, DISNEYLAND had to close its gates due to being at capacity. Over 70,000 guests swarmed into the park to make a trip through the Haunted Mansion. At its peak, the wait time on that first day was reportedly eight hours. The line stretched out to Frontierland and back. Why would the attraction garner so much attention on its first day? Aside from being a masterpiece in themed entertainment, which admittedly would have been unknown to the crowds who descended on the park that day, the Haunted Mansion was the beneficiary of the very first viral marketing campaign designed by Walt Disney. When DISNEYLAND decided to feature a Native American Village which would feature authentic entertainment performed by a cast of Native Americans, Walt Disney felt that the best location for the village would be on the far side of the River of America where Critter Country exists today. The only issue with that location was that the park hadn’t fully built out that side of the park yet. Guests would have to take a long trek out there past trees, a berm, some benches and little else. Since DISNEYLAND’s master plan was to eventually build a Haunted Mansion as part of its New Orleans Square expansion, Mr. Disney decided to just build the mansion ahead of time even though nothing would be inside it yet. Seeing the house would add atmosphere to that side of the river and make guests wonder about what existed inside those walls. This sign made guests even more curious about what would occupy the house that seemingly sprang up overnight and also hid the fact that even Walt Disney himself wasn’t sure what would eventually go inside his Haunted Mansion. One early concept was a “Museum of the Weird” walkthrough designed by Imagineer Rolly Crump. The house would host bizarre and potentially haunted articles that guests would experience on foot. This idea was even mentioned by Walt Disney on his weekly show The Wonderful World of Disney. Park operations wasn’t thrilled with the idea of a walkthrough attraction, since it would have a low capacity. Another question that came up- would this be a truly scary Haunted Mansion or would it be a funny, happier Disney version of a Haunted House? In 1966, Walt Disney settled on the funny, happier version that would be a ridethrough where guests would get to see the ghosts throughout the mansion. Finally, something was getting into that Mansion. So by the time opening day rolled around, millions of people had walked past that house and its sign. Millions more saw Walt Disney talk about it on his show. Considering all these factors, it shouldn’t have been much of a surprise that so many guests would be there on opening weekend. 49 years later, Walt Disney’s Haunted Mansion still entertains millions of guests every year.